Powerball payouts: Annuity or lump sum? 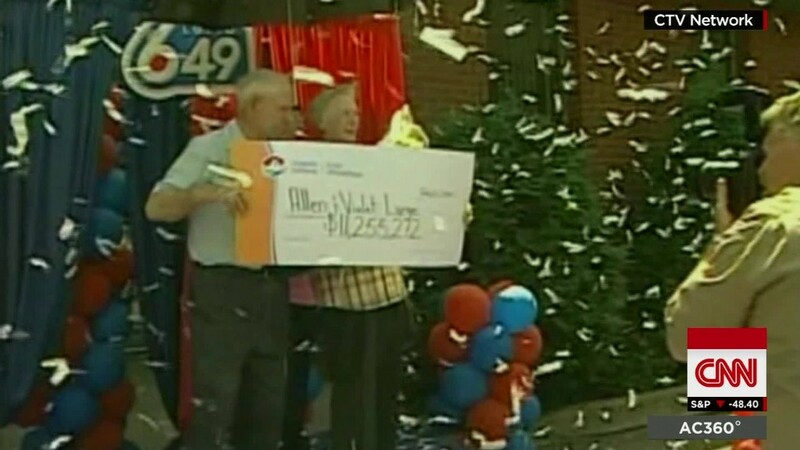 Powerball winners: Annuity or lump sum? Decisions, decisions -- take the annuity with 29 years of very large payments, or take one big lump sum now. For the winners of Wednesday night's $1.5 billion Powerball drawing, the next step is deciding how they want to claim their prize -- they have 60 days to choose. It's not yet clear how many winners are behind each of the three winning tickets -- one could be part of an office pool. Powerball notes that if a group wins, each individual will be able to choose between an annuity and a lump sum. Lucky for the winners of this jackpot -- as if they weren't lucky enough -- the states they live in won't take out any additional taxes. Florida and Tennessee don't have state income tax and California law prevents taxation of lottery winners. After taxes, the cash lump sum will be $187.2 million for each winning ticket. For those winners who choose the annuity, they'll receive 30 payments over the next 29 years -- the first payment is made immediately. Typically, the term of an annuity ends when the recipient dies. The annuity offered by Powerball is different. It's called an "annuity certain" and payments will be made until 2045 -- even if the winner dies. At that point, the money would go into the deceased winner's estate and would pass on to any heirs. The annual payout will be $7.53 million for the first year. It would eventually increase with interest to about $31 million, according to investment expert David Blanchett. The real benefit to this option lies in the tax savings. Powerball invests the entire cash value -- before taxes are taken out -- in various securities that are backed by the U.S. government or agencies. With the lump sum, taxes would actually be paid twice -- on the initial lump sum and on any money made each year from investing it. The winner wouldn't be taxed on investment income with the annuity because Powerball is actually the one investing the money and it doesn't pay income tax. Blanchett advises winners to do a "combination of both an annuity payout and a lump sum." Based on this advice, winners would take the cash prize and then purchase their own annuity through a private company. By purchasing their own annuity, there's the possibility of a higher return. The government bonds that Powerball invests in have low rates of return. The biggest benefit to this dual approach is the winner retains the ability to manage their wealth and not blow through it in five years. "This is partially behavioral and based on how often people that tend to win these big prizes blow through the money," he said. "I'd definitely recommend the person meet with a few financial planners before making any kind of big decisions." Seems like the winners now have a lot to consider -- what to do with their millions? Frankly, that doesn't seem like a bad problem to have.